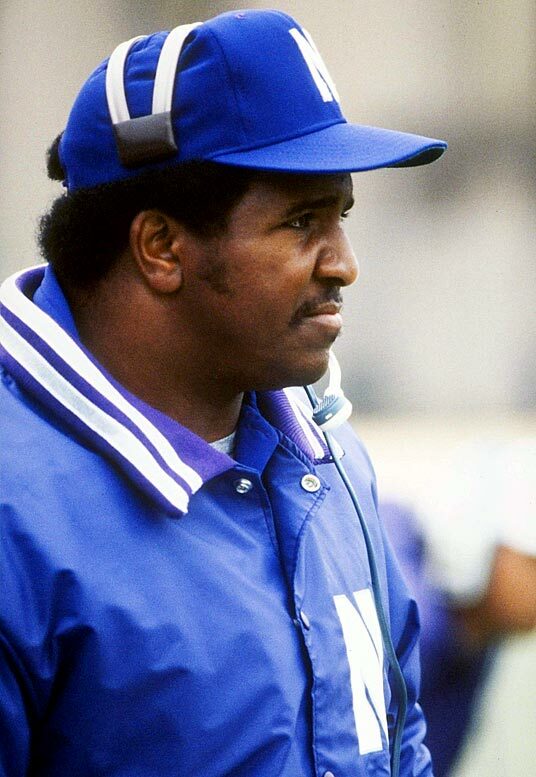 Dennis Green rescued a program that lost 34 straight. Can another D1 program do even worse? In the midst of this current losing skid, I think it’s time to pay homage to Northwestern’s most prolific streak of futility. Yes, I’m referring to the 34-game losing streak (the longest in NCAA D1 history) which was tabbed by ESPN as the 3rd worst college football team of all time. Every season, I get hope that someone will put us our of our misery by being even worse. In recent memory, we had a few prime candidates. Duke was on a 22-game losing streak before heading to (where else) Evanston, IL to defeat the Wildcats in embarrassing fashion. They would go on to lose the remaining 9 games that season, which would have put them at 30 straight loses, had the Wildcats been able to convert on 1st and goal from the 7 yard line with 38 seconds left in the game. They did go on to win their first game in 2008, but perhaps the victory over NU gave them the confidence to finally get over the hump. There was also a a 23-game losing streak held by the Golden Eagles of Southern Miss. That streak was alive until their last game of the 2013 season, where they crushed UAB. That was a huge letdown as that storyline was one positive in the midst of a disastrous collapse for Northwestern. What these teams are proving, is that it’s REALLY impressive to be able to lose 34 games in a row. No matter how bad you are, the law of large numbers states that if you try enough times, you should get a win at some point. Even if you only gave the ‘Cats a 5% chance to win any given game during that streak, the odds that they lose 34 straight is roughly 17%. Lo and behold, another contender has emerged and gives us a glimmer of hope that we may one day shed the label of the longest losing streak of all time. The RedHawks of Miami (OH) are on a 19 game losing skid, with their last win coming against Ohio in October of 2012. With 9 games remaining in the season, Miami could end the season only 6 games shy of tying NU’s record. Their next opponent, Cincinnati, is a 29 point favorite, so barring a major upset bid, the squad should enter MAC play with 20 straight losses. There are currently 2 other MAC teams that are 0-3, Kent State and UMass. UMass has actually held its own against two Power 5 conference teams, losing back to back games by only a field goal versus Colorado and Vanderbilt. Kent State, on the other hand, was completely waxed by Ohio State and lost to South Alabama (who?!) by 10. If the Golden Flashes can muster a win over Miami, they very well may end the season on a 28-game skid. Will NU ever shed the title of worst team in D1 history? Keep your fingers crossed.